For those of you who like closing the circle, as they say, here are a few updates on posts from earlier in the year. 1. Vroom, Vroom. Though I was tempted to go ahead and purchase a 1964 Ford Futura, the lure of being sensible won out, no doubt to the relief of friends still scarred from the Satanvertible experience. 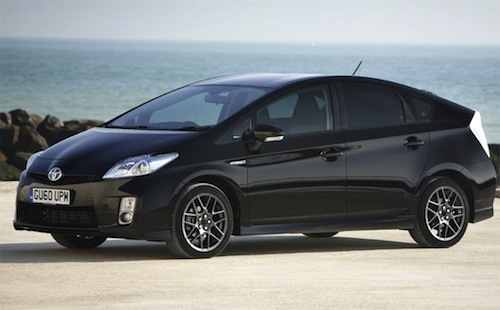 The good news is, the Prius is actually really fun to drive, although I am now obsessed with the little dashboard sensor that tells you if you’re driving in an eco-friendly or power-sucking fashion. I apparently have something of a lead foot. 2. A supposedly fun thing I’ll never do again. It has been 8 full months since I busted up my ankle sliding into second base. Every six weeks, I kept thinking, “It’ll probably be fine in another six weeks or so.” But last week was the first time I was able to jog without pain, and I still can’t play any sports. Dad. Gum. It. Pain stinks. However, I’m happy to FINALLY be on the mend. 3. 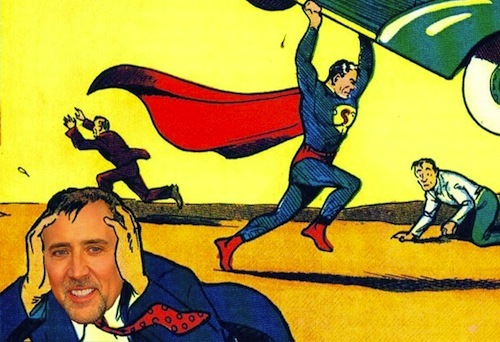 Nicolas Cage’s rare $1M comic book found. This grumpy old comic, printed in 1938, was stolen from Nic Cage’s home in 2000 and recently found in a storage locker in Los Angeles. It sold at auction this week for a record $2.1 million – the first comic to ever sell for more than $2 million. It is more insufferable than ever. 4. Fight the bully. 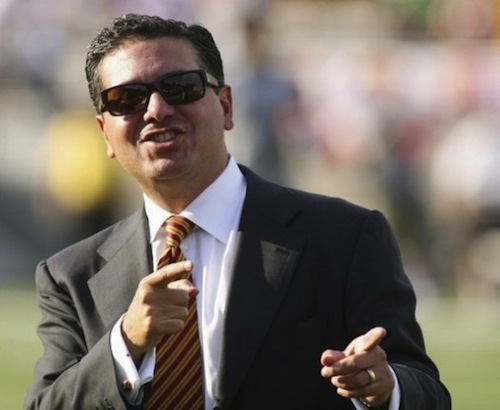 The kajillionaire owner of the Washington Redskins, who sued the brave and spunky Washington City Paper for an article he didn’t like, finally backed down and withdrew his lawsuit. Perhaps the massive wave of ridicule for his bullying ways finally got to him, or perhaps he had an epiphany. One thing is for sure: His football team is still really, really terrible. The Curse of the Danny! 5. In other news, TGW lives on. Yay, TGW! Go, little blog, go! Thanks for closing the circle for us on these stories, LP. Oh hey, that’s Pete Rose. You picked one of the vanishingly few baseball players I recognize. I FEEL BUTCH. Geez, FPS, if this site is gonna turn into some kind of testosterone-fueled frat-house man-cave, maybe we SHOULD just let it die. Someone I know elsewhere in the blogosphere said he wanted “man-cave” on the list of banned words for 2011. I countered with the suggestion that we all react to mentions of same as if it were, well, what it sounds like to me anyway. swells… come on… calm down, the dude recognized one baseball playa and got excited… and then did a cap shout… calm DOWN! YEAH, SWELLS! WHAT THE EFF! 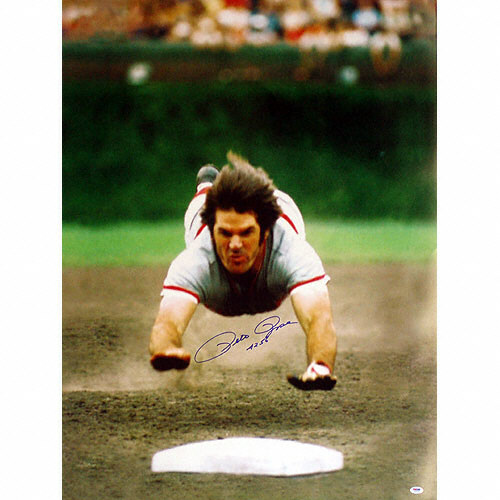 IT’S JUST PETE ROSE, EVERYONE!! CALM DOWN!!! our one true sports fan CHECKS IN!